Ascension with Mother Earth and Current State of Affairs: Earth's Deepest Ocean Has Life Disclosed A Few Days Before NASA's Alien Oceans, Coincidence? Earth's Deepest Ocean Has Life Disclosed A Few Days Before NASA's Alien Oceans, Coincidence? Wondering if anyone else sees what I am seeing with the soft disclosure movement regarding life existing beyond earth? Today I came across a whole deluge of science articles that seems to be part of a coordinated release along with the "amazing" announcement from NASA concerning oceans discovered in other parts of our solar system. The NASA announcement will be made on Thursday April 13th this week. Apparently the "The Powers That Be" have decided to give some support to NASA's coming announcements by breaking the news that the Mariana Trench, which is the deepest location on earth, has signs of life. 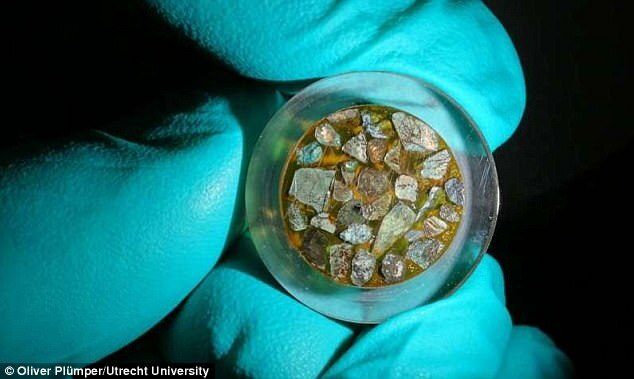 Mariana Trench, a place with no sunlight and massive pressure, contains living microbes which may thrive in this oceanic abyss. Interesting and yet somewhat relevant to alien oceans in our solar systems. To me, this news story was deliberately released to coincide with NASA's exo-planetary ocean findings. Below are the links and headline news articles about the Mariana Trench discoveries and NASA's coming disclosures of oceans on other planets. Drip, drip, drip for the sleeping public. "Turn the faucet on, all the way" says the FULL DISCLOSURE crowd. NASA is rumoured to have found a “habitable zone” in an alien ocean on Enceladus, a moon of Saturn. Tomorrow, the space agency will make a announcement about a discovery which relates to “oceans beyond Earth”. Although Nasa has remained tight-lipped about its news, stargazers are already beginning to speculate about what it has found. Now a man who is said to be a former Nasa employee has published an unverified spoiler ahead of tomorrow’s event. Keith Cowing, an analyst who writes for Astrobiology, claimed Nasa scientists had spotted hydrothermal vents on the seabed of an ice-covered ocean. If true, this would be a momentous discovery because some scientists believe life on Earth began near similar vents in our own oceans. “The process is indicative of possible habitable zones within the ocean of Enceladus,” Cowing wrote. The Cassini probe has been speeding through “plumes” which gush into space from Enceladus and collecting samples from them. Cowing claimed Cassini had found evidence suggesting a natural process was going on around these vents which is creating methane from carbon dioxide. Deep in the oceans of Earth, tiny lifeforms perform a similar process. “There are forms of life on Earth that use hydrogen to produce methane from and carbon dioxide in a process known as methanogenesis,” Cowing added.